Visual Studio Code>Programming Languages>Language IELENew to Visual Studio Code? Get it now. 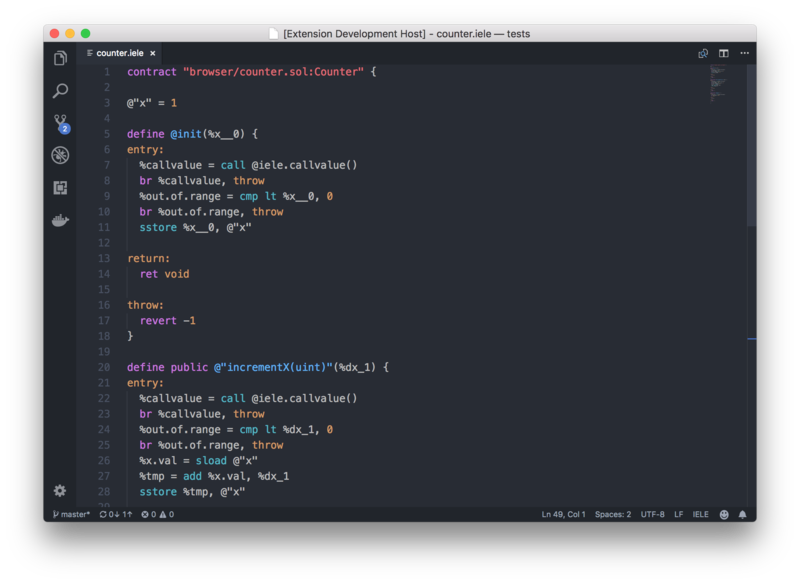 The syntax highlighting for IELE. This package is still under development and will be updated as I learn more about IELE. Search Extension language-iele in Marketplace.